This deals roundup contains the best discounts and offers Flipkart has on refrigerators. The platform is giving away great discounts on plenty of refrigerators along with an additional cashback offers as well. The summer is about to end in a few months and this is the period where you have a chance to grab products of your choice on offer such as refrigerators. Today, we have picked out some of the best deals platforms has on brands like Samsung, Whirlpool, LG and more. 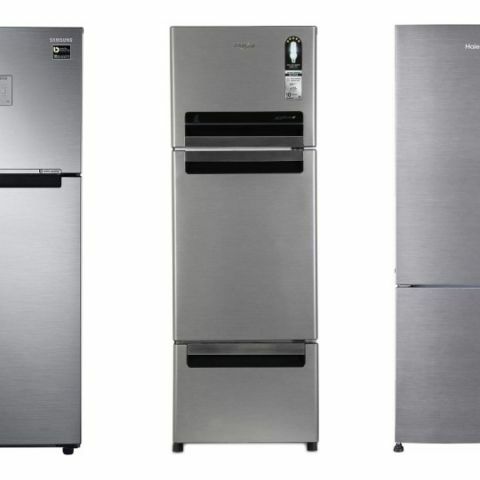 The Samsung 253L Frost Free Double Door 4 Star Refrigerator is able to operate within a range of 100-300 voltage., which eliminates the need for an external stabilizer. The refrigerator has a cool wall inside that keeps your food fresh and chilled for up to 12 hours even after a power cut. The refrigerator also has a moisture-free zone inside that keeps out humidity and maintain an optimize moisture inside. Click here to buy. The Haier 320L Frost Free Double Door 3 Star Refrigerator comes with 1-hour icing technology, which brings down the temperature of the fridge to -5 degrees in 60 minutes. The freezer section is placed at the bottom of the fridge that reduces the bending up to 90%. Click here to buy. The Whirlpool 240L Frost Free Triple Door Refrigerator comes with 6th Sense function that keeps your food safe from bacteria and excessive ripening. It also has a Micro blocking technology that eliminates up to 99% microbes from the fridge. Click here to buy. The Samsung 275L Frost Free Double Door 3 Star Refrigerator comes with Digital Inverter technology that uses less energy and reduces noise. It also has an Auto Smart Inverter function that lets you connect the refrigerator to your home inverter. It has a built-in stabilizer as well that prevents the fridge from getting damage during voltage fluctuations. Click here to buy. The LG 260L Frost Free Double Door 4 Star Refrigerator has a Smart inverter compressor that makes less noise and uses less energy. It has a Multi-Airflow system as well that makes sure that cooling is distributed through evenly. The Anti-bacterial gasket in this refrigerator keeps your fruits and vegetables away from bacteria, dust particles and more. Click here to buy.